There are two versions of payroll for QuickBooks Online. This article is for QuickBooks Online Payroll. You probably hired some new employees and you need a payroll solution, or you are switching from another payroll system. In either case, you can use QuickBooks Online Payroll to pay your employees and manage your other payroll tasks. Ready to turn on Payroll? From your QuickBooks Online company, you can easily turn on payroll. Sign into QuickBooks Online and select Employees. You'll see the two options to choose from: QuickBooks Online Payroll and PaySuite. From the QuickBooks Online Payroll option, select Get Started. 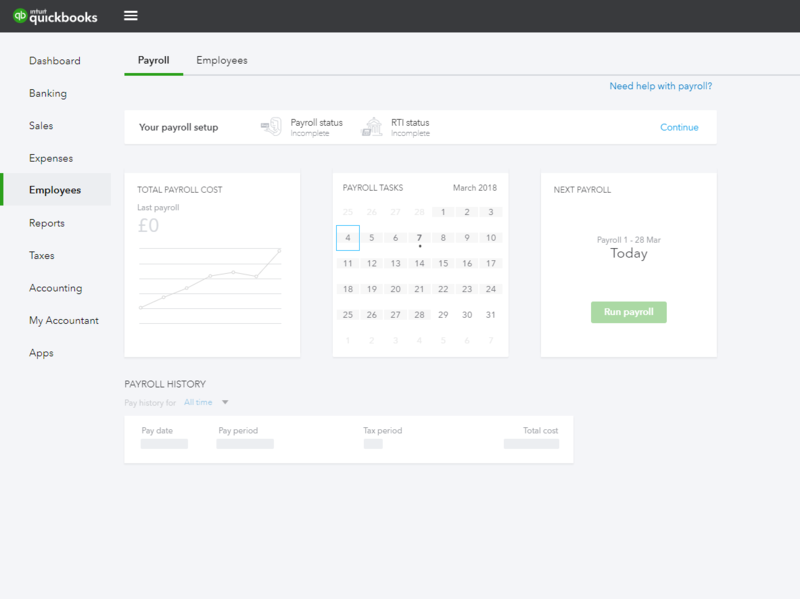 Go to Employees, then select Get set up to run payroll. Set up your payroll in QuickBooks Online. See the setup instructions to help you get started. If you choose PaySuite, refer to the Help available for PaySuite to get you set up.